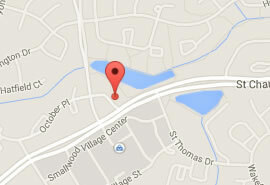 Welcome to the Waldorf Maryland location of American Lipo Centers. Our talented cosmetic surgeons have vast experience in laser liposuction and have performed thousands of laser liposuction procedures. At our comfortable and conveniently-located office in Waldorf MD, we place your satisfaction among our highest priorities. Our physicians and our professional staff look forward to meeting with you to discuss your needs, explain all of your options, and help you reach your ultimate aesthetic goals. American Lipo Centers will customize a solution that enhances your body to help you look and feel your absolute best. We are proud to serve the Waldorf Maryland area with a location convenient to our patients in Upper Marlboro, Clinton, Brandywine, La Plata, Southern Maryland, Charles County and St Mary’s County. We also have locations in Bowie Maryland and Alexandria Virginia that may be more convenient for some of our patients. Check out our Laser Liposuction Specials and Discounts on our promotions page! Limited time offer!